Nanosys, Inc has announced today that its next generation LCD technology, the Quantum Dot Enhancement Film (QDEF), is now available for display manufacturers to be able to use. The new LCD technology allows display manufactures the ability to increase colour gamut by as much as three times without making the trade offs in cost, size and brightness they’ve had to make in the past. Providing richer, more viscerally vibrant reds and a deeper palette of greens, the colours the human eye see more intensely than any other color. The image above shows a QDEFTM-enabled 47’’ display on the right which delivers 60 percent of visible colours versus 20-35 percent from a typical LCD on the left. More viscerally alive reds and a deeper palette of greens can be seen in the QDEF display. The current generation of displays in smartphones, tablets, laptops and large format TVs can only express 20 to 35 percent of the colours our human eyes can see. 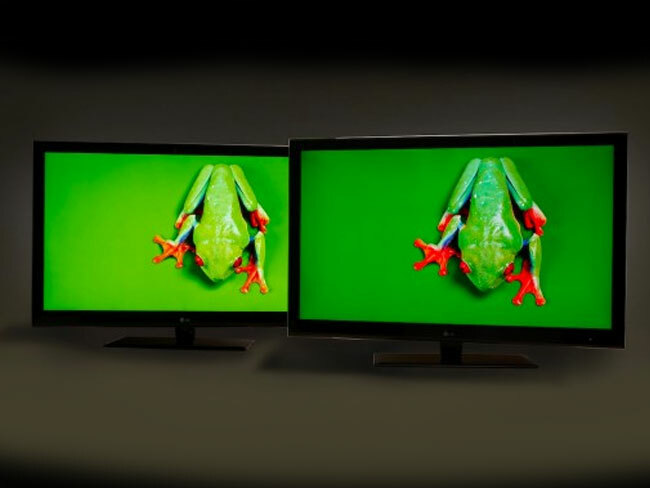 The new QDEF represents the first time that quantum dot technology is available to display makers as an optical film, which can then be scaled to any size including large televisions.